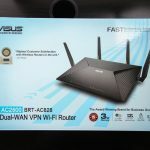 Asus BRT-AC828 business router is released quite a while ago. It is a different router unlike the usual consumer routers by Asus. The business theme is clearly evidenced by the design of this router. The no-nonsense design is practical and aesthetically pleasing at the same time. 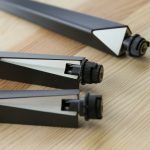 The antennas have been revamped with a locking mechanism to prevent it from getting loosen easily. The business theme remain apparent on the LED indicators as there are individual LAN port activity LED indicators for all the 8 LAN ports, something not present on newer consumer Asus routers. 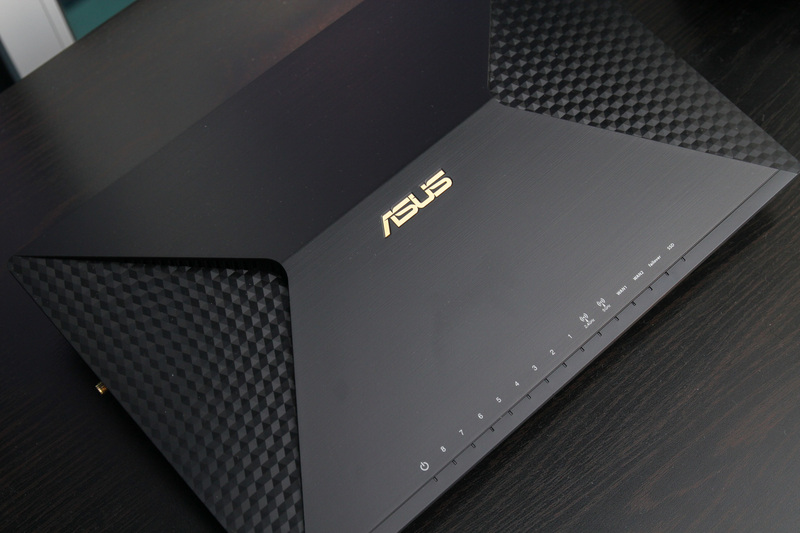 In this article, we take a deep dive of Asus BRT-AC828 business router. What is a business router? Well, what define the term of business router? I think it needs to strike a pretty good balance between performance, features and usability. Unlike the routers offered by UBNT or Mikrotik, while the BRT-AC828 is branded as business router, it remains really easy to configure. The firmware on the BRT-AC828 is one of the most impressive thing, it is simple and powerful at the same time. 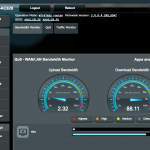 It runs the familiar ASUSWRT firmware with a few modifications and features addition to suit the business environment. The interface is still really familiar although with a few changes here and that. 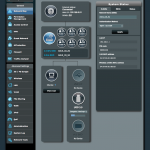 Not to mention that it remains fully compatible with the Asus Router app for easy monitoring. The business term is further defined by the versatility of this device. It comes with Dual WAN with link aggregation up to 2Gbps right out of the box. You can have 2 different ISPs connected at a same time for load balancing and redundancy. There’s also support for USB 4G modem for internet connectivity as well. 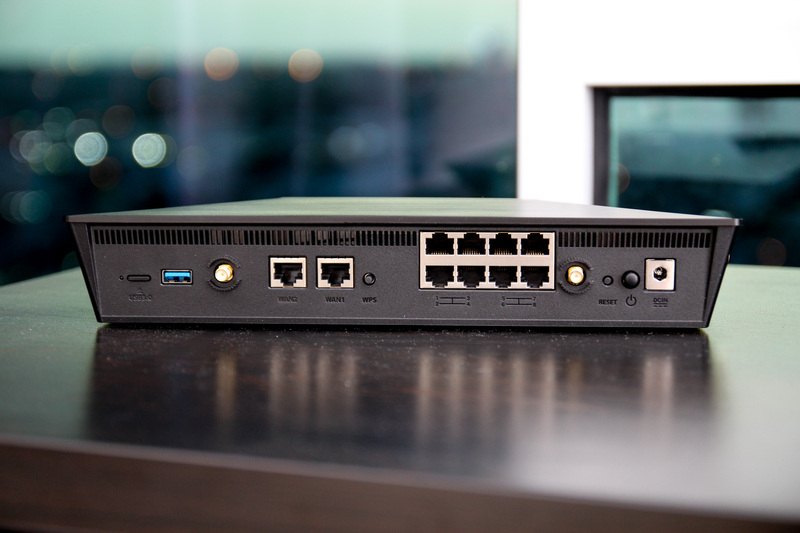 With 8 Gigabit Ethernet LAN ports on the back of the router, you surely have enough ports for your devices. 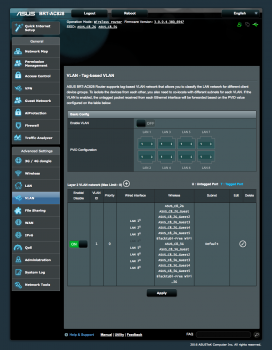 You can configure them up to 4Gbps LAN Link Aggregation as well. I am a huge fan of the wireless hotspot feature. Unlike the usual client wireless network feature you get with all consumer routers, this one is actually a lot more advanced. You can configure a captive portal in which the connected devices will be redirected to a webpage once they are connected to the wireless network. For example, you can have it configured to redirect it to a Facebook page which contain the latest promotion for a business. 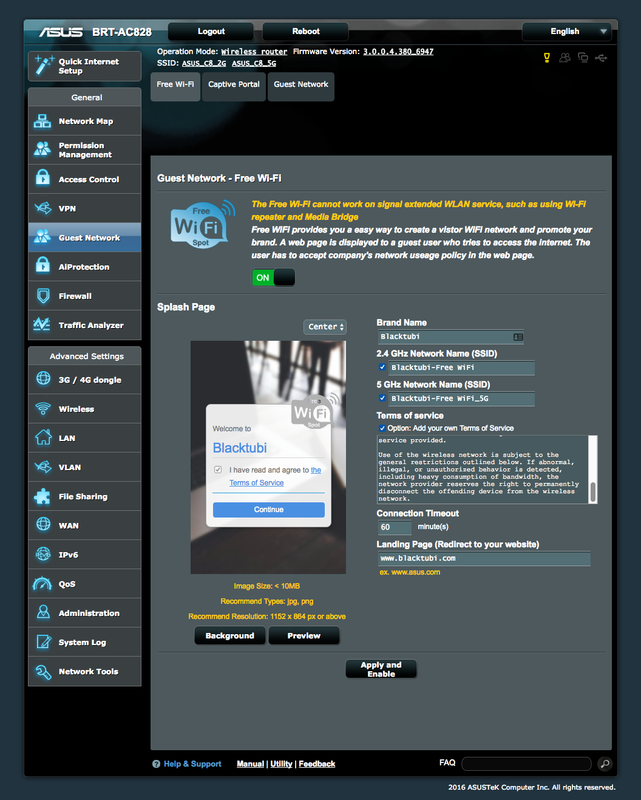 Once a user is connected to the wireless hotspot, they will be send to a login page and once they are logged in, they will be redirected to the custom page you set up. The security is great as well, the wireless hotspot is isolated from your usual network by default so they have zero access to your internal network. I like this feature a lot due to how easy it is to setup. Conventionally, you need some sort of dedicated server to handle this kind of feature. The BRT-AC828 is able to done it all for you in just a few clicks. Security is another major concern with current business environment. 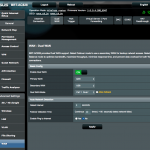 Asus considered this factor and included AiProtection on this router. While AiProtection is not a new thing since it launched quite some time ago, I will explain it further over here. It works by preventing your devices from accessing a webpage containing a malware, preventing a malware from reaching your computers over the Internet. I actually tried it out with a antivirus software testing website and it works. It will prevent me from accessing the webpage and show me a warning telling me that website is trying to harm my computer. There’s also an invected computer isolation feature but I cannot test it without getting my own computer infected. On the more technical side of things, the BRT-AC828 business router supports VLAN right out of the box. 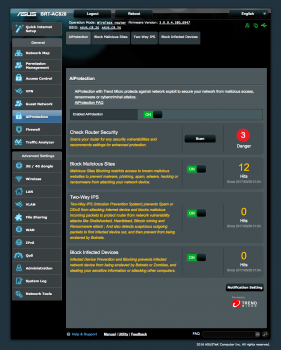 With that, you can separate your devices into different VLANs for improved security and isolation. For example, you can isolate your client’s network with your office network easily with the usage of VLAN. The client’s network will not be able to access your office network so your internal file storage server will be safe. You wouldn’t need to do this our commands as it can be done fully on the web interface. The feature lists extend further than these features I mentioned. 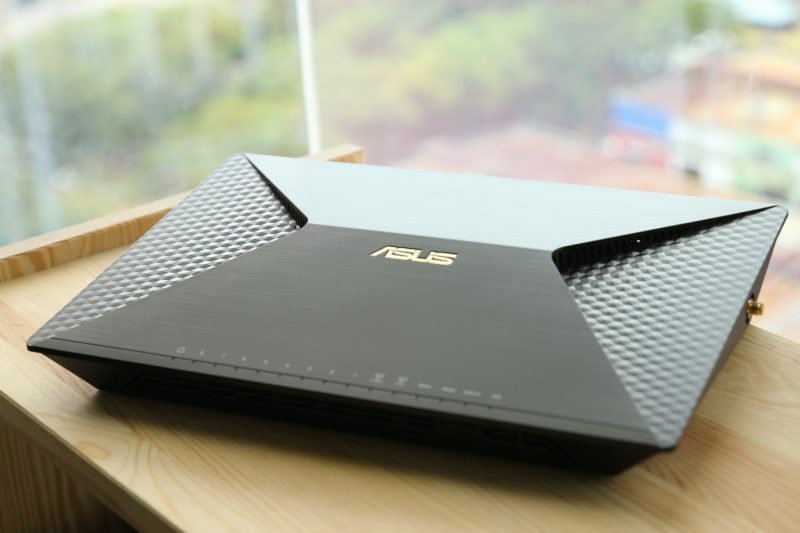 It certainly is a step ahead of the consumer routers produced by Asus. It has Unifi compatibility right out of the box. 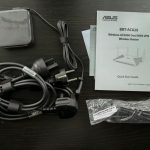 The setup may be a bit different than all Asus routers as you need to connect your Unifi modem to LAN5 instead of the WAN ports. Asus BRT-AC828 is fully compatible with most Malaysia ISP such as Maxis, Time and etc. 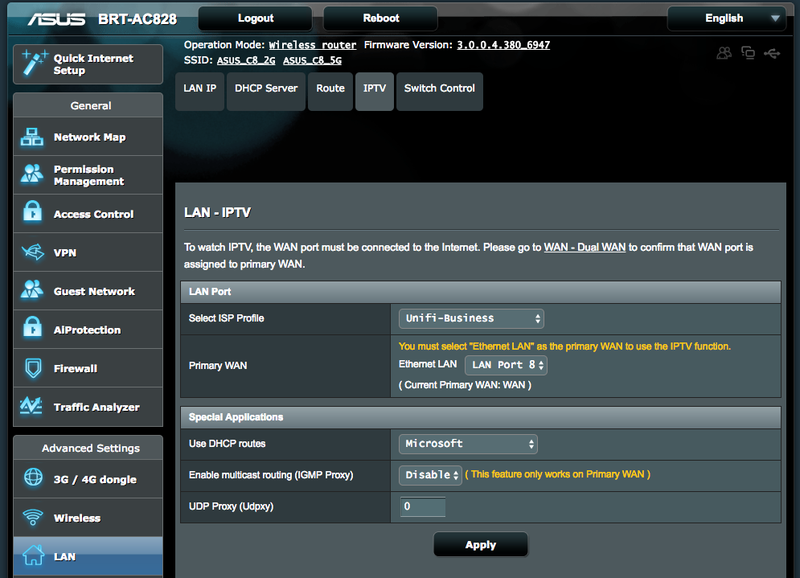 Make sure you selected the Unifi profile at the IPTV configuration page. You can’t have a business router but the specification is something subpar. Well, rest assured, the BRT-AC828 is pretty decent in terms of specification as well. It has a AC2600 Wave 2 wireless capability. While that is not the fastest wireless standards you can get like Asus RT-AC5300, I would prefer stability over performance. Most wireless devices in the market are just AC1200. In a business environment, range and stability is crucial over performance. It has MU-MIMO support for even better performance. I actually find the wireless network to be really stable with amazing range. I guess Asus used some high power amplifier on this router for the increased range. The performance is actually similar to some enterprise grade APs. I hope it comes with band steering support eventually. The hardware of this router is equally as good. It has a 1.7Ghz dual core Qualcomm processor and 512MB RAM. Ignoring all the buzzwords, all you need to know is, this is a really fast router powered by some really powerful CPU. It can handle everything you throw at it without an issue. Asus take advantage of this powerful processor by adding in a lot of features to leverage on the performance of this router. 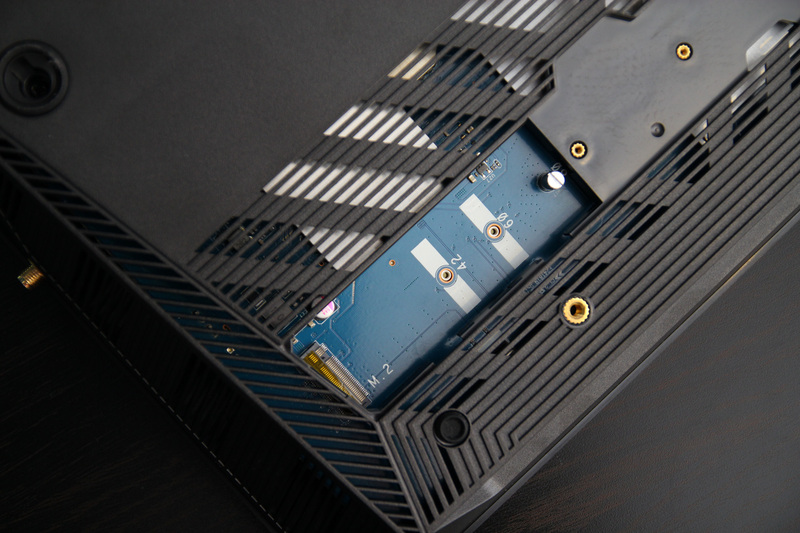 Asus BRT-AC828 have a M.2 SSD slot built in. You can plug in a M.2 SSD and turn the router into a mini NAS drive for network file storage. It would be useful in situations where you need a simple shared drive which all computers on the network can access. The router support the Samba file sharing protocol so it is compatible with Windows and Mac computers. Setting it up is really simple as well. There are also 2 USB3.0 ports on this router as well. They are pretty fast and it is evidenced by the amazing performance when I tested it with my usual USB external hard drive and share it over the network to my laptop. I was able to reach a pretty decent MB/s read and MB/s write speed. If you are running a business and you are looking for something to revamp your network and provide better services for your customer, you can consider this router. The performance and stability is absolutely better than consumer devices. You won’t need to hire an IT guy to perform the setup as this router is really easy to configure as well. Features like the wireless hotspot creates value for your business and it is an advertising and promotion platform as well. Well, you can always use it as a really expensive home router. What you get in return is, stable network and impressive coverage. Asus BRT-AC828 definitely earn my seal of approval. Thank you very much for your review. It’s help me to configure my internet connection using LAN5 as Wan port. Why Asus not using WAN port for internet connection. good evening, when you say it takes a dedicated server to manage the captive portal, are you referring to another device connected to the router? personally I do not know too much network but the brt-ac5300 I like a lot. The BRT-AC828 can handle it internally. It comes with a captive portal in the firmware. Hi, have you tried to connect it to 2 Unifi WAN? Could you please share how? Hi, the only way possible under DUAL WAN is you need another router as a VLAN bridge as this router can only handle single VLAN. is this router support 4k streaming? I noticed there is no QAM mentioned for this router. what is QAM actually mend for? QAM is one of the more technical specification for wireless networks, mostly for marketing. We generally use the AC term as it is simpler. It is definitely able to handle 4K streaming, more than capable in fact.